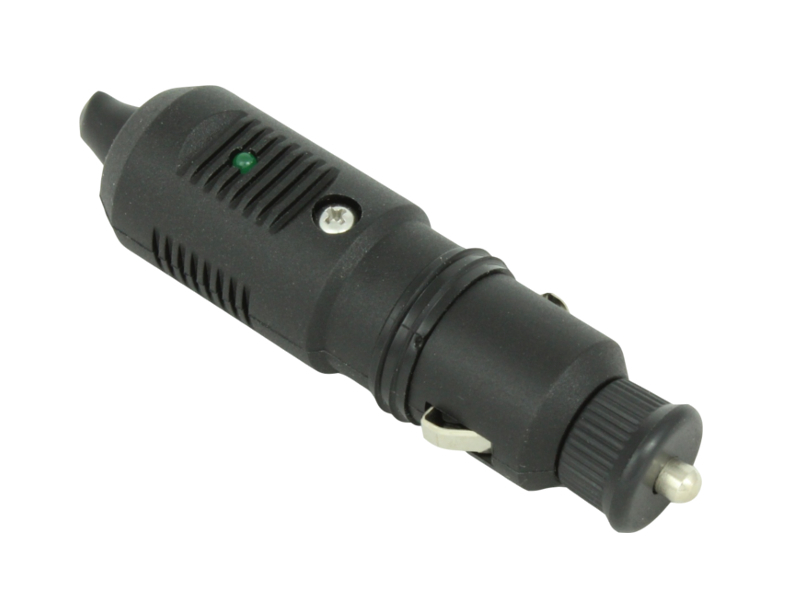 Weather-proof 12 Volt DC plug from Blue Sea Systems designed to withstand the rigors of wet environments and constant vibration found in marine use. The plug has a sealing ring around the shaft to keep out moisture and the plug/socket design features a twist-lock system to securely hold the two together. Corrosion resistant materials are used throughout and large contact surfaces ensure good electrical connection and minimal voltage drop. 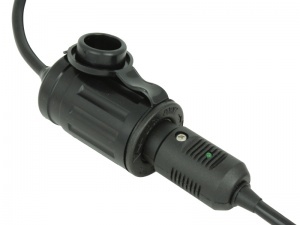 A green LED 'ON' light illuminates when plugged in to a 'live' socket, a built-in 10A fuse protects the circuit from over-current situations and the cable entry point features a strain-relief clamp. Note: This plug should only be used with matching weather-proof sockets from the Blue Sea Systems range. Compatibility with non-Blue Sea Systems products cannot be guaranteed. To connect cable to plug: Unscrew ring at front of plug and remove positive contact, spring and fuse. 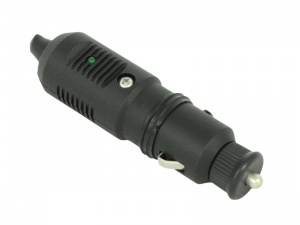 Using a small flat-bladed screwdriver, gently prise sealing ring from its groove and slide over the sprung contacts and off the front of the plug. Finally, remove screw next to the LED and separate the plug body. Cable can now be fed through sealing gland and cable clamp and terminated using the screw clamps. Twist-Lock connection: Line up contacts on plug sides with arrows on socket and push in. Twist and pull plug to remove. Having tried many including Hella best system so far. Tricky to connect the wires but best is that they are secure when plugged in.Fused and with LED indicator. Others fall out especially off roading.